Yahoo! Incorporated has been all over the news these past of weeks due to its decision to ban telecommuting. 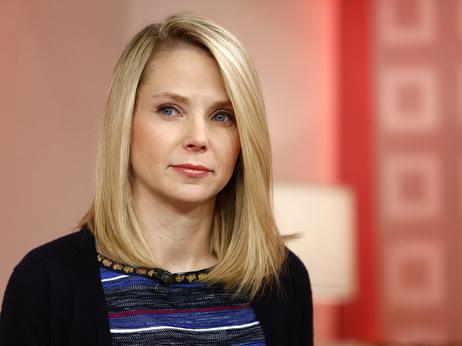 Its CEO, Marissa Mayer stated in an HR memo to its employees, which was leaked to All Things D, a tech industry blog, that starting in June staff will be required to work in a Yahoo office – a move that appears to be a part of the company’s rebooting efforts. Of course this news has not gone over well with its 11,000+ employees or those in favor of work-at-home. Proponents of Yahoo’s decision have decried the removal of this type of work flexibility; claiming that it’s demoralizing or harmful to families, especially working mothers. While opponents have supported and applauded Mayer’s tough-but-gutsy decision, saying that it’s about time that Yahoo! employees, in fact all employees, stop abusing this benefit and realize that work is done best in an office; interacting with colleagues. In the midst of this brouhaha has been comments about how Mayer doesn’t understand the financial and familial benefits of working-at-home since she a) has an estimated net worth of $300 million; b) might receive close to $60 million from Yahoo during her tenure and c) paid to have a nursery built in her office so that she could bring her infant to work. What has become lost in the midst of the work-at-home battle has been one major question that has not been asked of Yahoo. What does it say about Yahoo, a multinational internet corporation, that it apparently can’t manage its employees who work-at-home? It should seem obvious, maybe not to Mayer, that if you have slacker employees (i.e. unproductive, unreliable, unable to adhere to project or work schedule, etc.) who are partial or full-time telecommuters they will more than likely continue to be slackers, just now they’ll be working in the office instead of at home. What will Yahoo’s supervisors/managers do to combat these employees’ bad work habits? Do these managers have the training and experience to deal with these type of employees? Keep in mind, if the managers were unable to manage these unproductive employees as telecommuters, what makes Yahoo think that they will be able to manage these individuals in-person while simultaneously turning them into collaborative and responsible workers? I’m sure Mayer’s actions are also Yahoo’s way of getting rid of ‘dead weight’ and/or reducing costs by forcing employees to quit due to location or commute hardships. However, I doubt every bad WAH employee is going to resign from his/her position as a result of the ban. 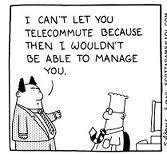 Again, how does the ban help Yahoo deal with its apparent or perceived culture of crappy telecommuters? Also, will Yahoo have to secure additional office space to accommodate these now in-office employees? This could add to Yahoo’s bottom line, thereby defeating somewhat the goal of supposedly cutting costs by eliminating employees via the work-at-home ban. Most importantly, what about those WAH employees who weren’t abusing this perk? Who were actually productive and reliable? What about future applicants who might (or were) interested in working for Yahoo prior to the ban? Yahoo has been so busy banning WAH to get rid of bad employees (and create a work community atmosphere possibly similar to Google or Facebook) that it appears they weren’t really thinking about the good employees who would be hurt by the ban or potential applicants who might go elsewhere because of it or what the ban signifies about Yahoo. As many managers can attest, just because an employee shows up for work doesn’t mean that he or she is actually working, let alone being productive. Yahoo’s WAH problem isn’t just a telecommuter problem, it is also a managerial and human resources issue as well. Slashing the work-at-home option may have immediately shown Yahoo’s investors, financiers and employees that it’s serious about turning the company around, in that it plans to become a major internet player again. However, when a company makes a decision that will have a long-range impact, the last thing it should want is that decision to bring about more questions than answers. As it stands, Yahoo’s work-at-home ban seems to have created more of the former than the latter. Not exactly a great way to ensure everyone that you really mean business. Posted in: All Posts, Culture & Life, News, Technology, Work	| Tagged: home office, Marissa Mayer, WAH, work at home, work from home, Yahoo! Aw, this was a definitely nice post. In idea I would like to put in writing like this moreover – taking time and actual effort to make a quite good article?- but what can I say?- I procrastinate alot and by no indicates seem to get some thing carried out.